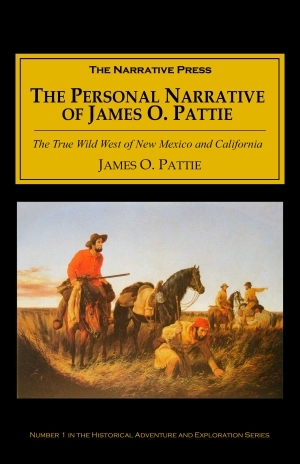 The Personal Narrative of James O. Pattie is the Odyssey of western America. In June of 1824 James Ohio Pattie, then in his early 20’s, left Kentucky with his father, Sylvester, and headed west. They reached Taos, New Mexico, traveled down the Rio Grande, fought with Indians, rescued two white women who had been captured by Comanches, crossed over the Mogollon Mountains (they had to eat one of their horses; later they had to eat their dogs also), and for a while ran a mine and fought more Indians for the Mexicans near Silver City. Two of our men were then ordered to the show themselves on the top of the bank. They were immediately discovered by the Indians, who considered them, I imagine, a couple of the Frenchmen that they had failed to kill. They raised the yell, and ran towards the two persons, who instantly dropped down under the bank. There must have been 200 in pursuit…We allowed them to approach within 20 yards, when we gave them our fire. They commenced a precipitate retreat, we loading and firing as fast as was in our power…In less than ten minutes, the village was so completely evacuated, that not a human being was to be found, save one poor old blind and deaf Indian, who sat eating his mush as unconcernedly as if all had been tranquil in the village. We did not molest him. After the battle and some similar adventures, the Patties resumed trapping and followed the Gila west to Yuma, trapping beaver and fighting with more Indians, and then crossed the California desert, reaching San Diego in March of 1828. In San Diego, the Patties and their American companions were promptly arrested by Governor Echeandia, who confiscated their fortune in furs and threw the men in jail. There they languished, and the elder Pattie died. Ever resourceful, young James struck up a romance with a woman of high station. He recuperated under her care, and began working part-time from jail as a translator for the governor. Finally, news reached the governor of a smallpox epidemic in the north. Rather fortuitously (ahem), Pattie had a quantity of smallpox vaccine with him. He made a deal with the governor: his own and his companions’ freedom in exchange for vaccinating the populace. During his six month trip up the coast from San Diego to Fort Ross, just north of today’s San Francisco, Pattie claims to have vaccinated nearly 22,000 Mexicans, missionaries, Indians, and settlers. Pattie found it hard to stay out of trouble, however. In Monterey he joined a revolt against the governor, but then switched sides again. The governor (either grateful or just hoping to get rid of him) finally gave Pattie a passport to Mexico City, where Pattie met with officials and tried to obtain restitution for his jail time and lost furs. 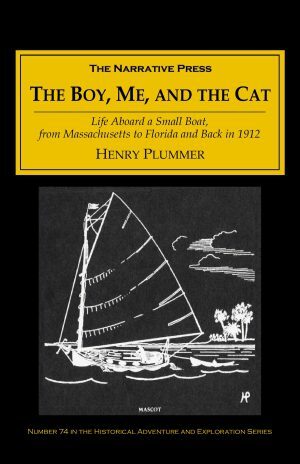 In 1830 Pattie sailed for New Orleans, arriving home again in August, six years after he and his father had headed West. He dictated his story to newspaperman Timothy Flint, and the book came out a year later. History loses track of Pattie after that. He probably died in a cholera epidemic that began near Augusta, Kentucky, in June 1833. 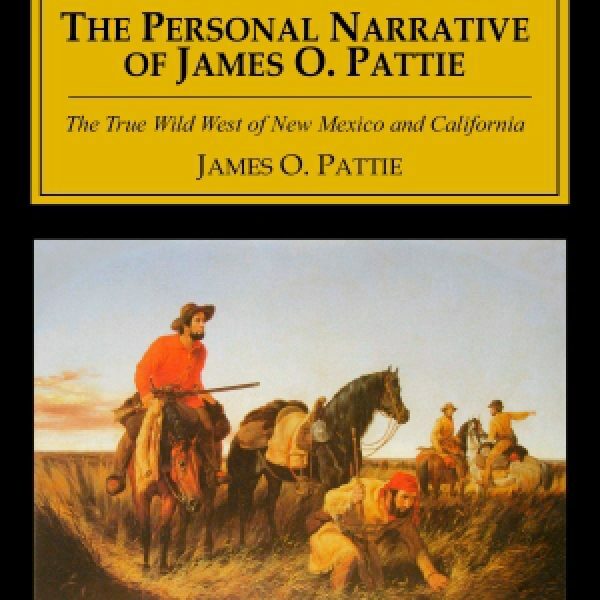 But we will always have The Personal Narrative of James O. Pattie.